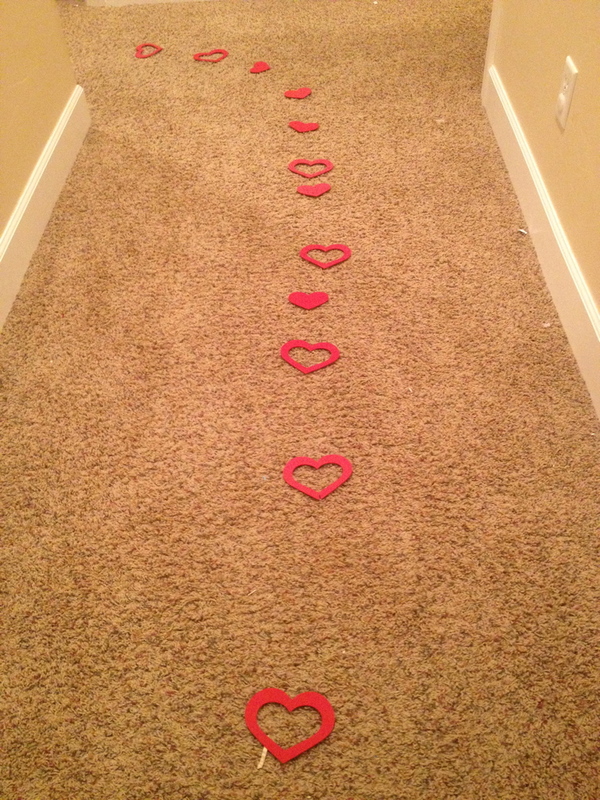 So last year my kids woke up to a path of hearts leading to heart pancakes for breakfast. 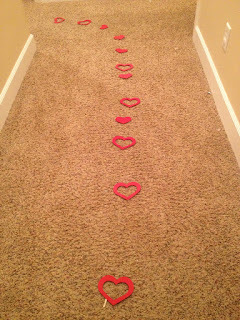 The funny thing was when they asked, "Did cupid come?" No, this time, it was just me :) This is a very simple way to spruce up your morning. I made the pancakes by pouring the batter into a heart cookie cutter on the skillet and then threw a few sliced strawberries on top. Add whipped cream and it would be perfect!